You may be looking at the adoption option after miscarriage or having tried infertility treatments. You want to be a parent, and adoption may be an unexpected path to creating a family. The adoption process may feel cumbersome and overwhelming to you. Where do you begin? Adoption​ ​counseling​ ​is​ ​a​ ​great​ ​place​ ​to​ ​start! Wherever you are in your journey toward adoption, counseling is helpful. If you’ve suffered through miscarriage(s), please see my page about miscarriage and let’s deal with the emotional fallout from that heartbreak and disappointment. If you’ve endured infertility treatment(s), I’ll help you deal with what that experience has meant to you. That way you can begin the adoption process from the optimistic perspective of seeing adoption as just a different delivery system for your goal of starting a family! It may take some time and some grieving along the way to develop that optimistic outlook. I’ve helped many people move through their grief and emerge from it feeling stronger and ready to face the adoption process. Family​ ​building:​ ​you​ ​can​ ​do​ ​this! So, you’ve probably heard that adoption is tough. But that’s where I come in. I’m​ ​here​ ​to separate​ ​the​ ​adoption​ ​myths​ ​from​ ​the​ ​facts​ ​and​ ​to​ ​tell​ ​you​ ​that​ ​it’s​ ​absolutely​ ​doable!​ Let me use my professional and personal experience to help you navigate the process. I won’t tell you what to do, because you have to be comfortable with your decisions. I’ll be with you every step of the way, helping you understand what to expect, helping you as you weigh the possibilities, so you can make informed decisions that are right for your family: open adoption or closed; newborn, toddler or older; private or agency; domestic or international; same race/ethnicity or different. Working with an experienced adoption counselor will save you time, steps, and wild-goose chases. That’s not to say you’re guaranteed that everything will work out just as you wish, but your chances of success and ultimate satisfaction are much better when you work with someone who has an intimate knowledge of the process. I can work with you on how to incorporate the child you adopt into your existing family, whether that’s your extended family or a family you’re expanding through adoption. I can help you repair the stresses your relationship has gone through to get to this place in your life, so that you start this process from a place of strength. I have a personal and professional understanding of the unique aspects of adoption and will help you move past the obstacles you may encounter along this road to starting or expanding your family. The experiences you’ve gone through to get to this point may have taken a toll on your confidence and optimism, and through our work together, I can help you regain your confidence and get your family on track. 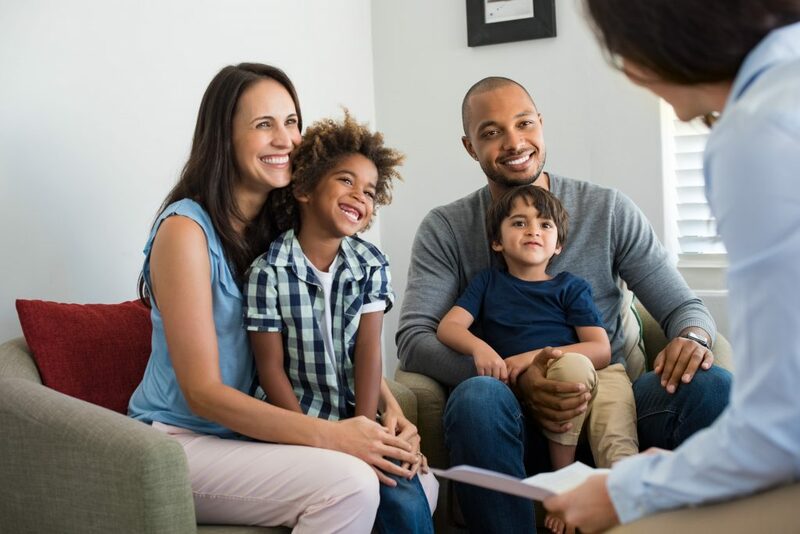 I can also help you talk with your child at an appropriate age about how he or she came to be part of the family and any questions that may arise. And I can help you with the parenting issues all new parents face.